Home from college to help her mother on the family farm, Lexi Griffin expects things to be quiet and normal. She's back in her hometown, and everything is the same as she left it, including the slowly mending broken heart given to her by her high school sweet heart, Blaine. After years away, Robert Shaw has returned to his hometown for his father's wedding, looking forward to reconnect with old friends, but he has no clue what's in store for him when he sees Lexi again. Sparks fly between the two, and Lexi is a bit reluctant to start anything with Robert, especially when past wounds haven't healed the way they should have. Robert is determined to have her, against all odds and good sense. A girl like her came around once in a lifetime, and he never forgot her. And then Blaine comes back to town, intent on rekindling what he had with Lexi, even though his past cheating and drug use has slightly soured him in her eyes. She still loves him, but can she forgive him? As Lexi takes a leap of faith, she suddenly faces the ultimate betrayal from one she trusted. Will she realize the truth in time or will corruption ruin the best thing that has just walked out of her life? So? What do you think? Do you like it? Personally, I LOVE it! Southern Roots is the story of Robert (aka: Bobby Ray) returning home, his getting (intimately) reacquainted with Lexi and the run in they both experience with Blaine, Abby and a world of disaster. 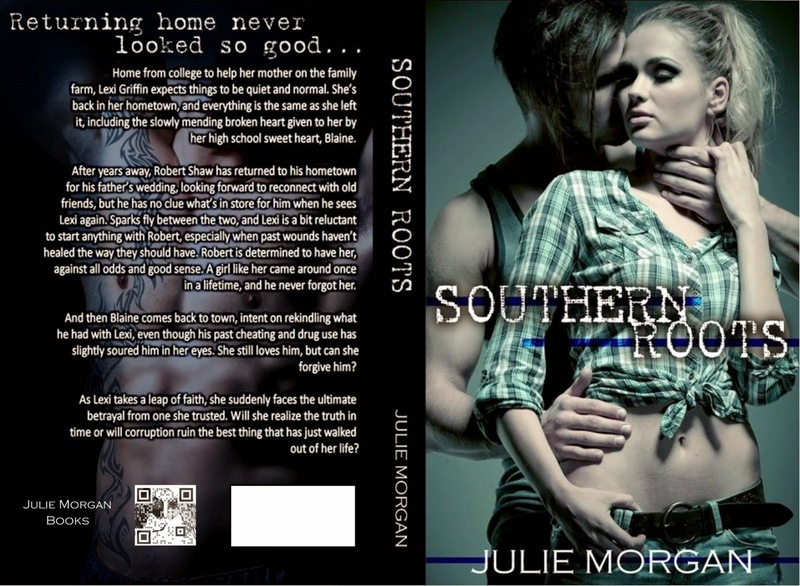 Southern Roots is a contemporary romance set in modern times. It's fast paced, exciting and balls out fun as hell of a read! Remember what it felt like to fall in love with your One? Take that ride along with Bobby Ray and Lexi as they experience what love is like after a HUGE heartbreak. 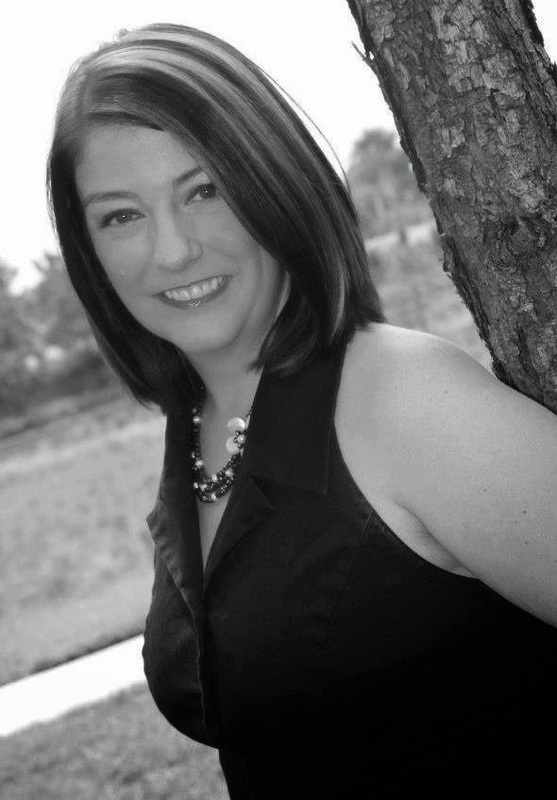 Julie is also the author for Chronicles of the Fallen series. Check out her other stories on Amazon and Good Reads on the links below!